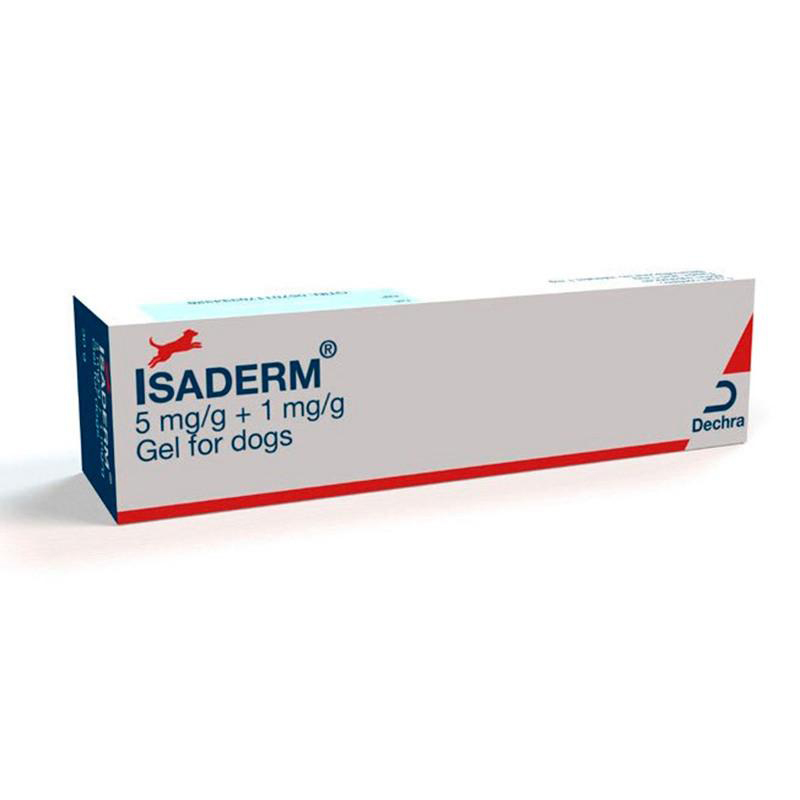 Isaderm Gel is for the treatment of skin diseases such as wet eczema (acute moist dermatitis). It was formerly known as Fuciderm Gel. It contains two active ingredients: Betamethasone & Fusidic Acid. Betamethasone is a corticosteroid that has anti-pruritic (anti-itching) & anti-inflammatory properties. Fusidic acid has activity against bacteria, including Staphylococcus pseudintermedius, Streptococcus spp, Corynebacteria spp. Warnings & Contraindications- Always wear disposable gloves when applying the product & wash hands afterwards. Pregnant women especially should avoid accidental skin contact with the product. Pregnancy & Lactation- Do not use in animals that are pregnant or lactating.